RavenholmVille runs from 6:00am GMT Friday 28th March 2014 until 6:00am GMT Monday 14th April 2014. Entries must be set in a Ravenholm-style environment and have the correct atmosphere. Think zombies, gravity gun and blades. However, don’t be afraid to introduce something new too. The mod will include a bonus map made by Darren Weekes AKA DAZ who has been working on it for a few weeks. This map is NOT part of the competition and will NOT be part of the public vote. The voting for the winner will be by public vote. But it all comes down to attention to detail, atmosphere and how much fun people have playing it. I will be giving one $5 Steam game. At this point I don’t know if the winner will be able to choose their games or if it will be a random selection. Please ensure that your map works on Steampipe. For more information on Steampipe, please see: Steampipe and the Current Issues, this FacePunch Mapping Thread and this Steam Community thread. You could also try a web search for specific issues. In previous mapping announcement, The_Blazer wrote “Specifically, the Source SDK tool is now entirely disabled, and Hammer needs to be launched from Steam > steamapps > common > Half-Life 2 > bin. It’s inside that. Blimey I just woke up, what are the chances – just opened this website and refreshed the page and here it is. As for the theme, I think it will spark some really great maps because we have all of the assets for ravenholm and a lot of variety can be made. Quick question, because I think it’s kind of important to clarify. 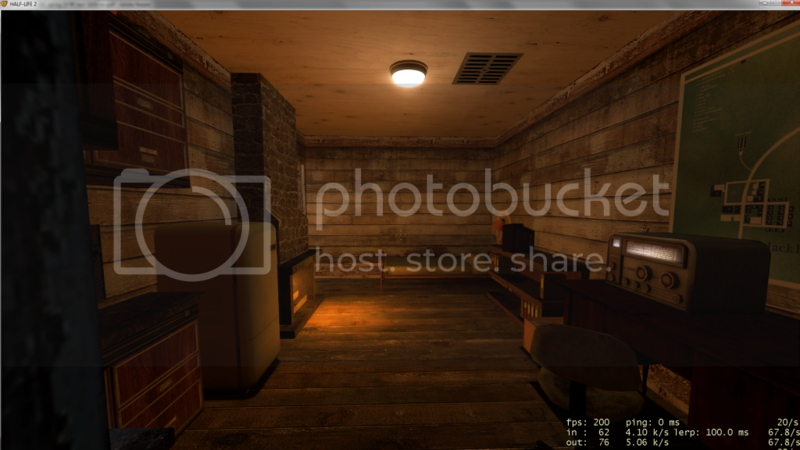 The Ravenholm maps are already publicly available and provided uncompiled as part of the Source SDK for tutorial purposes by Valve. How much of the original maps are we allowed to use when creating maps for this contest? Well, if you want to use one as a base, that’s fine, but I suspect players, i.e. voters, will prefer something new. Yeah… I ended up doing nothing due to unrelated events. I look forward to seeing the results of this contest, though! Am I right in assuming this is just an atmospheric thing? Can we use assets and NPC’s not in the Ravenholm chapter assuming we do it all spooky loike? I promise I’m not talking about the EMP, I was considering having a Ravenholm with something of a combine presence. Yes, you can use assets from any of the games, but it’s your job to make it “feel” right. But it’s not just an atmospheric thing – I am looking for real gameplay. YAAAAAAAAAY RAVENHOLM! My favourite environment from the non-episodic HL2 games! 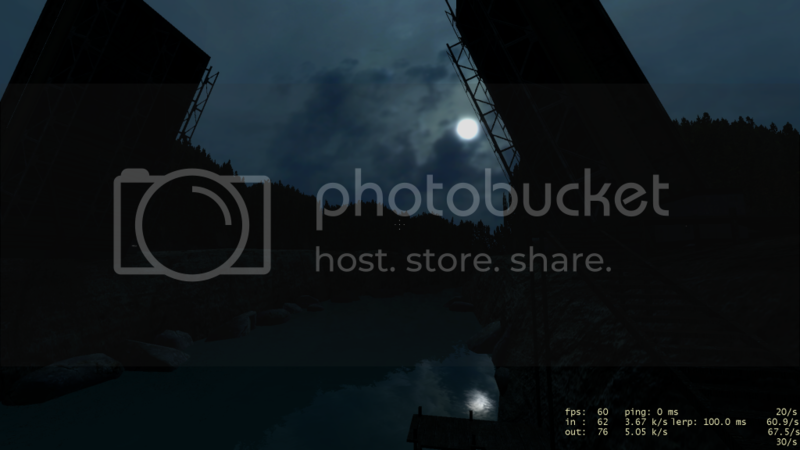 I’m excited to see what happens and I wish I could make HL2 maps. Hopefully I will be able to eventually. Can’t wait~! Also, in case you haven’t noticed by now, this icon http://www.planetphillip.com/media/admin/follow-these-comments-rss-feed.png is missing. That DaZ map better be good! Well, I don’t hate the theme. I think I might have a high level concept of what I want to do, but not where to do it. Ravenholm is a pretty unremarkable area when it comes to interiors and buildings, to me anyway. This archive contains a .bsp and .vmf which showcase two gadgets and a horde of Zombies. The gadgets are activated when you pick them up with the Gravity Gun. The first gadget is a motorized buzzsaw that you run into Zombies with. The second is a variation of the familiar whirling Ravenholm blade trap, except you can pick it up and use it. Both commit slice damage on the enemies and can therefore cleave Zombies in two like the sawblade prop can. Both also have a quirk where punting them seems to activate them. They are imperfect, but kind of amusing nonetheless. The idea for the level was that you’d have to go around and assemble these from various parts (i.e. find a gas can, find a battery, etc) following a diagram on the wall left behind by Father Grigori. I’m glad you have decided to participate. I’m not… that’s why I put these up for download for whoever might want to use them. I’ve tried a couple times to get the layout off the ground, but I just wasn’t happy with it. Oh, I misunderstood. I thought you were giving the gadgets away but continuing with the map. I haven’t done any mapping in a while (which is really bad of me) but I think I’ll give this a go. I’ve already sketched part of a layout on paper and done some of the basic brushwork in the editor. I’ll be keeping the map quite small and I can’t guarantee anything but hopefully I can submit an entry. I am still working on an entry for this, but it’s going to be very rough around the edges to make the deadline. I’ve been having some trouble with soundscapes. I can preview them using the console but the entities themselves don’t seem to be doing anything. Does anyone know if this is a Steampipe bug or if something else might be causing it? If you ever figure this out I’d desperately love to know how, since I’m running into the same thing. What I’m doing in the meantime is just using env_soundscape_triggerable, along with an associated trigger_soundscape. For two adjoining rooms with different soundscapes, place the trigger for each soundscape inside of its respective room, just inside the doorway. You’ll hit both triggers when passing through, but since the first one you hit is for the soundscape already playing, nothing changes, and as soon as you’re in the new room the new sound starts. Just don’t forget to wrap the playerstart in a trigger for the first soundscape you want. At least I think the idea works. As with everything I do in Source, it’ll probably all fall apart when I’m ninety percent to my goal and force me to abandon the whole project. Thanks for the reply. I’ll try using your method later today since it sounds like it could be a good workaround. I’ll post again if I work out what’s causing the problem. I’ve just been using env_soundscape – it triggers itself if you are within the radius. I’ve had no problems with it yet. env_soundscape can be weirdly inconsistent. I remember in Forest Train, the transition from the start cabin to the outdoors was problematic. When I turned on the soundscape debug (which shows all soundscapes and highlights the one currently playing), I could clearly see that the forest ambiance was active, and yet I’d hear nothing but silence for up to 10 seconds before it actually kicked in. For the sake of sanity, it is helpful to use env_soundscape_triggerable so there’s no doubt what soundscape should be used, even if the engine decides it’s not ready to transition yet. Use plain env_soundscapes to cover outdoor areas where the player will have a fairly consistent line-of-sight to them. 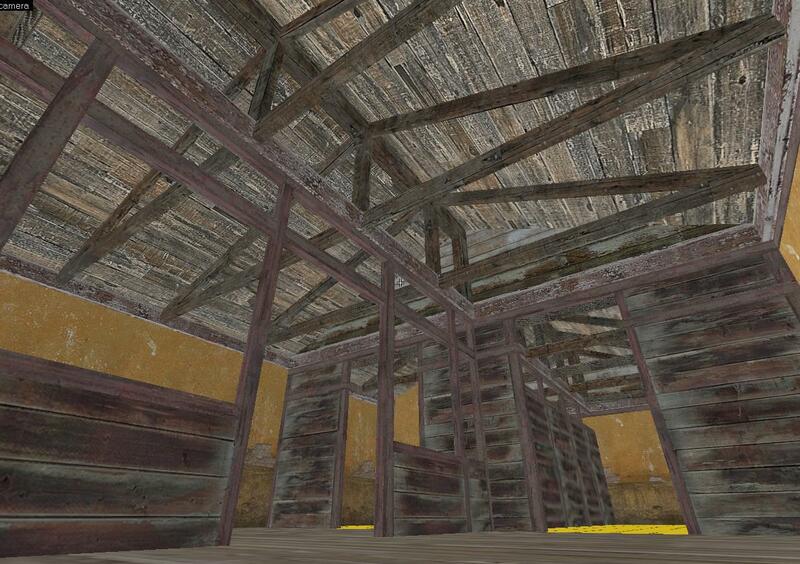 If you have interiors mixed with exteriors, surround the interiors with env_soundscape_triggerable triggers. After doing a full compile of the map, the problem seemed to solve itself, so I guess it was something to do with vvis.exe. Ideally I would follow your advice to get the soundscapes working better, but my map has much bigger issues than that to worry about considering how little time is left! I have submitted an entry. I’m not really happy with the end result, but it’s better than nothing. Looking forward to seeing what others have cooked up. Can’t wait to play these! Just checking, does anyone know how (if possible) to disable the flashlight in hammer without getting rid of the suit? I thought env_global had a function for this but apparently not. You can fire the DisableFlashlight input to !player (the exclamative mark is required to tell the engine that you specifically want the player and not an entity named “player”) to target the player and disable his flashlight and force him to turn it off if it’s already on. You can then fire the EnableFlashlight input to re-enable it. Hammer will recognize the !player target as broken, because of course the player only exists when the map is running, but it should work in game. As Blazer says, !player has a lot of those miscellaneous commands that env_global doesn’t cover. I would suggest calling EnableFlashlight/DisableFlashlight on !player. I haven’t had problems with VDC lately. As with everything Valve, though, it can be sporadic. Thanks guys! Didn’t even realize !player had inputs. I’ve just been using it for filters and target names. I’m making progress quite slowly on this map, the idea’s just didn’t come as quickly this time around and I have had less free time lately. Certain game play and even critical visual elements have been more difficult to implement than initially anticipated. I may have to consider either cutting back on the scope of this project or completing it in my own time after the competition. The map itself is quite simple and quite short but I’m learning things as I go. After a few iterations I have settled on a story which is consistant with Ravenholms tone and I will try to tell it throughout the duration of the map. One thing I am being quite conscious to get right this time around is ensure that the player knows where to go, this is somewhat easier as the map this time around is linear. I have reintroduced the flashlight, the idea behind removing it was simply to make it easier for me to hide zombies but other gameplay elements didn’t work as well without it. Unfortunately I am not going to have the time to finish this for the competition. I currently plan to finish the map but I don’t know when. This will be where i’ll put my dev update blog. The first couple of days was mostly just dabbling in hammer and drawing in paint, trying to get inspiration for a level. In the second day I got an image of a particular area. I drew a few variations of it in paint to make it a vivid image in my mind, and then designed it in hammer. It was only a small area but it was inspiration, spurring me to continue making ideas of new areas and so on. I need an image of what I am going to design before I open hammer – otherwise I waste a lot of time in hammer. Anyway, onto day 3. So far I have the geometry of the first area laid out, and I did some detail geometry (here: http://i.imgur.com/AL6ICjv.jpg). Although detailing this early on is a bad idea because it is time-consuming – my plan is to design the bare bones of the entire level before detailing, so that’s what I’ll do for the next few days. Gameplay has been strongly influencing my design ideas. Looking at the HL2 ravenholm maps, you can see there are few wide open areas, and many small, tight spaces – hallways, small rooms, roads enclosed by buildings. I think this is because wide open areas make zombies much less of a threat, and the player can run around them. Whereas if the player goes down a small hallway and finds a dead-end and turn around to find a group of zombies, they panic. It makes the zombies a real threat because the player is trapped until they deal with them. A specific gameplay idea I have is to foreshadow a fight with some zombies where the player can see the zombies but does not have to fight them until later, perhaps I will leave this out of the blog for a surprise. (I am away next week again but should have a laptop there to download hl2 ep2 and hammer, so hopefully there will be few delays! I’m really happy with this theme). Too late, you have already ruined the surprise! Don’t worry, I’m just teasing you. It’s not a bad idea to detail out an area early on to get a sense of the style you want to go with moving forward. Especially when it comes to posts and support beams, you want to try to keep them evenly spaced. Understanding what, if any, role the roof line plays is also important to figure out early on since they are a pain to retrofit. I think the orange plaster texture doesn’t look quite right though and that’s definitely one of the problems I have with Ravenholm environments – that iconic purple-brown wood texture doesn’t go with a whole lot of things. I might suggest using the Highway 17 white plaster instead. You do have three options for that wood texture I think – Ravenholm has a couple variations and then there’s the one you’re using, which I think is from the Ep. 2 mines. Yeah I understand what you mean about the orange with wooden textures. But if I was going for that I would just make it all wooden. However what i’m going for is the wooden structures built within/ontop-of/post the main building (wall plaster) and also I have some reasons for the orange but it’s subtle. I think what will really tell whether it works is in-game with fully designed lighting. Although I have yet to even test it in-game. Maybe some changes will be made. Shortly after day 3 the next section of the map became clear in my mind – 3 words; underground, gates, chambers. I felt like this would be good for creating an enclosed, claustrophobic feeling, with gates trapping the player or zombies, and a sense of no immediate escape because it was underground. Getting the entities and scripting to work using generators, levers and the gates was a bit of a pain but the fundamentals were sorted over the next few days – although still presently has minor bugs due to duplicating the entities and having to rename them and their inputs/outputs – it can get tedious. Blocking out this section was relatively easy though and so it began to shape up pretty quickly. This section is meant to be the main part of the map, but still requires a lot of blocking out – but this can be done fairly quickly. At this point I decided to go back to the beginning of the map and actually block it out, because this area was open to the void, and the player could just jump over the edge. This has just been finished, and the majority of the texturing of the first section done. Just today I have focused on the lighting (pun.. not intended). There’s been some problems with prop shadows though, as a fence i’m using uses texture alpha – whereas light typical casts shadows based on either the collision mesh (bad lighting! ), geometry (good! ), and/or texture alpha (good! )… this requires lights.rad to be edited and I have still yet to find a fix for the lighting but should get some sort of solution in the end. If worst comes to worst I can disable the shadow of the fences. Here’s a sneak peak of what I’ve been cookin’ up. I think the drawbridge is an eerie silhouette, but it’s much too dark. The interior looks nice, but I would probably break out the overlay tool and start messing it up. Depending on what your needs are, a window between the lambda and the poster might look nice and get a stream of moonlight coming in. Yeah it’s too dark in the first picture in my opinion but I really like the second image, the lighting is perfect. Q: Do you do a verbal sketch story, schematic … before making a map? 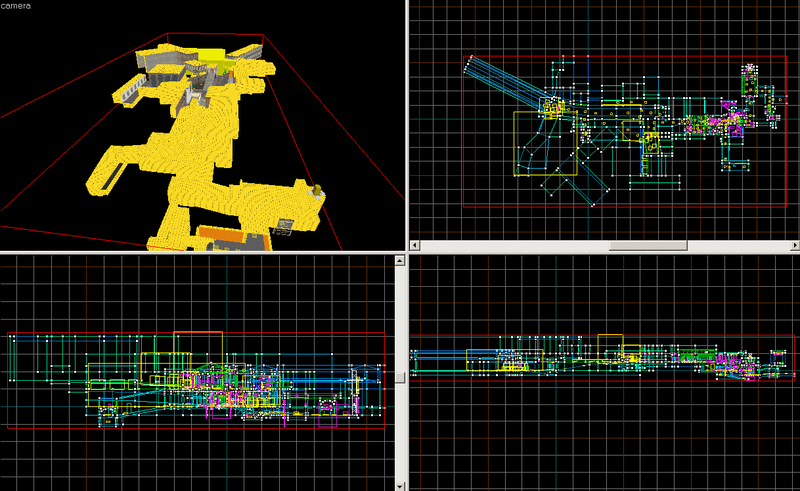 Interesting, I once tried to create a Ravenholm map, never got further than a few dev-textured boxes. I guess now is the time to finish it. GPU dying, not sure if I can carry on mapping. If anyone is interested, I have found a document that details the structure and design of the official Ravenholm maps from several different points of view. Not sure If I’ll enter. I was busy this weekend and now I am busy with work and stuff. Maybe I’ll make a short map just for the phunz.
. Once I had the style down it just seemed to build itself. Now comes the fun part. Tweaking the gameplay until its right and adding in as many side fun elements as possible. One thing I’ve enjoyed about this is that as its a standalone map, I can throw in lots of fairly random bits of gameplay that didn’t really fit with other abandoned projects. Changed scope completely half way through and decided to just do a linear SP map but worked out pretty well. No way in hell am I going to finish this in time. Got no machine to compile this on and there’s zero beta testing been done. Not sure why I leave it to the last minute – time management is not my forte. Some compile problems (I compiled on ‘Normal’ bsp, vvis and vrad but I found out it decided to make my map fullbright) scared me a bit but I did submit a working compile of my map… Fullbright would be funny though, for an atmospheric zombie map. how bout mat_fullbright 0 or something? Just tested it, nah it’s not that – it’s just that lighting did not compile. I was in a rush so probably didn’t realize vrad was off! Theres a couple of nodraw issues with my map but other than that I am happy with it.